Chris Maser - Sustainable Community Development, Welcome. To leave the world a bit better... To know even life has breathed easier because you have lived... This is to have succeeded. "New Society Publishers and St. Lucie Press have published a number of impressive works on sustainable development, perhaps in response to the increasing interest in this subject. The latter is now featuring a multi-part series on sustainable development by Chris Maser, consultant and popular lecturer on environmental issues and environmental mediation. Maser's initial work in this series is 'Resolving Environmental Conflict' (1996), followed by 'Sustainable Community Development' (1997), 'Setting The Stage for Sustainability: A Citizen's Handbook' by Maser et al (May 1998) and, most recently, 'Vision and Leadership in Sustainable Development' (August 1998)." "People who were fortunate enough to hear you speak at the Lake Tahoe Ecological Forum are still buzzing with enthusiasm from your message. Your take home message of leaving a legacy for our children was entirely relevant and needed to be brought to the forefront for future Tahoe community discussions. You have the keen ability of putting things into perspective and setting the stage for communities to think and act for the benefit of future generations. I wish more people in the Tahoe area could have heard your presentations." "I very much enjoyed hearing you speak last week at the Lake Tahoe Ecological Forum. It's nice to meet such an eloquent spokesperson for a saner, more sustainable way of life." "Thank you for blessing us with your visit and your thoughts. It was indeed our pleasure. Your name and words have come up many times in various circles lately. Please know that you made an impression on us all." During my college years, I spent many Saturdays taking children from the Children's Farm Home on nature walks. The Farm Home was a facility for children whom the court had taken away from their abusive parents. One warm summer's afternoon, I saw a little boy of seven sitting by himself on the steps to one of the group houses. He looked so small and lost as he sat there by himself crying quietly, that I sat down beside him. "What's the matter?" I asked gently. "I miss my daddy," came his reply, "and I want to go home." "How," I asked in astonishment, "can you miss your daddy when he beat you so badly that he bruised you all over and broke your arm?" He look at me for a long time with moist, frightened eyes, as though sizing me up to see it he would be safe in expressing his feelings. Then, with quivering chin, he said, "I guess it's because I always know what to expect." It took several years for me to fully understand what that frightened, lonely, little boy had to teach, and when the lesson became clear, it was in a totally unexpected way. I was working in the "Brown's Hole Country" of northwestern Colorado, which is flat and open in every direction as far as the eye can see. One day, I came across an old house, which, long abandoned and weathered by time, squatted tired and rickety in the middle of nowhere, surrounded on all sides by seemingly limitless space. I drove over to the house, parked my vehicle, and got out. Only then did I even notice the one-rail fence and small, creaky gate that surrounded the faded building with its haunting, glassless windows. Although I thought nothing of the fence as I approached the gate, once through the gate, I sensed a totally different feel about the house—almost a feeling of welcome, as though protective arms had suddenly been extended around me, but why? Exploring the house held no clue to the cause of this feeling of "security" and "friendliness," and it wasn't until I went back through the gate to get my lunch that I understood. The house had nothing to do with my feeling of welcome and security—it was the presence of the fence! While the fence might have kept adult horses and cattle out of the yard in years past, it also defined the yard—and that was the point. The fence held the vast openness of unending space in abeyance and in so doing gave the people who lived in the house a sense of human scale, of definable proportion within a boundary they could both see and touch. They could, for instance, lean upon the fence and contemplate the vastness of space without being directly confronted by it, but only if the fence stood between them and the seeming void of eternity. And it occurred to me that I would have the same feeling of welcome and security within the confines of the fence were it to have a single stand of wire, string, or even a piece of thread, just as long as it was visible, and I could touch it. And suddenly, across the years from somewhere in the country of my subconscious, there came the face of a small, seven-year-old boy sitting alone and dejected on the steps of an alien house in a vast, unknown, and frightening world. Then and there I understood what he had meant when he said that he missed his daddy because he always knew what to expect. Always knowing what to expect was his "fence," the one inside of which he had learned to cope with life in his own personal scale. But outside that fence of known expectations, where no one would beat him, loomed an unknown world so vast and frightening that the abuse he expected to suffer at the hands of his drunken father became his sense of human scale, of definable proportion. In short, the abuse he always knew would come—that he could always count on—was, in a surreal way, his sense of "security" (his fence) against the larger terror of the unknown, where the enemy was the "unknown" that had neither form nor face of recognition or substance to touch. Wisely done, social-environmental planning for a community's long-term sustainability is analogous to building a community's "fence" within which its members know what they can expect and count on. In addition, they know what is expected of them in terms of their relationships within the community in order to build and maintain their community's fence. These relationships form the basis of integrating the various facets of a community's social-environmental sustainability over the long term. In this sense, a community begins with setting the corner post to define the size and configuration of the fence—including the appropriate number, placement, and design of gates, as well as determining the desired quality of its materials and construction—the collective vision. Next comes the survey of available materials: inventory of what is on hand in terms of talent, experience, motivation, and monetary capital, as well as and what is needed. With inventory in hand, it becomes possible to estimate the costs to be incurred by the projected: ecological, social, and monetary. Then comes the planning, which is based on modeling a community's collective understanding of the data on hand, as well as drafting a plan of action. This step is followed by implementing the plan: surveying the fence, gathering the materials, laying them out, assigning responsibilities for the construction, and supervising it. Finally, the completed fence is examined to evaluate the effectiveness of the actual outcome with respect to the community's vision and the efforts toward achieving it. Although I help communities at home and abroad with a number of topics concerning sustainable development, which I tailor to their specific needs, I have included two under this title: Human Relationships human-induced relationships and human-induced fragility of ecosystems—both of which are vital to address in the sustainable development of any community. There is, however, a third topic that needs to be discussed with respect to communities abroad, and that is what we, in the United States, mean when we speak of "development" what do we mean when we speak of "development?" I read with great interest and more than a little trepidation the article "Scientists Listen for Intelligent Life" (March 1). When we do finally connect with other "habitable" and "inhabited" planets, I wonder how we will treat the natives. Will we kill them, steal their land, and devastate their natural resources, as we have done on our own planet? Chris Maser, a man knowledgeable in the ways of forests and the natural world, says that until we change our attitudes, the same thing that has happened here on Earth will happen wherever we go. "The human race ... does not deserve to discover life on other planets—not until we learn to take care of this wonderful garden we were given, and have evolved in consciousness enough to realize that we're just another form of life in the world." Regrettably, I could not access the rest of the article on the internet, so I do not know who wrote it it. Relationships are the strands in the web of life, and there is no escaping the web. Relationships are all there is. In fact, life is relationships, and relationships are life. One cannot exist without the other because Nature's design is a continual flow of cause-and-effect relationships that precisely fit into one another at differing scales of space and time and are constantly changing within and among those scales. Every day of our lives is therefore about learning how to relate to ourselves, one another, and our environment. When dealing with scale in relationships, scientists and economists have traditionally analyzed large, interactive systems in the same way that they have studied small, orderly systems, mainly because their methods of study have proven so successful within their frame of logic. The prevailing wisdom has been that the behavior of a large, complicated system could be predicted by studying its elements separately and by analyzing its microscopic mechanisms individually—he traditional, linear thinking of Western society that views the world and all it contains through a lens of intellectual isolation. During the last few decades, however, it has become increasingly clear that many complicated systems, such as forests and oceans, which are seemingly chaotic, do not yield to such traditional analysis. In connection with relationships, all of us can sense change: the growing light at sunrise, the gathering wind before a thunderstorm, or the changing seasons. Some of us can see longer-term events and remember that there was more or less snow last winter compared with other winters or that spring seemed to come early this year. It is an unusual person, however, who can sense, with any degree of precision, the changes that occur over the decades of their life. At this scale of time, we tend to think of the world as static and typically underestimate the degree to which change has occurred. We are unable to sense slow changes directly and are even more limited in our abilities to interpret their relationships of cause and effect. Thus, the subtle processes that act quietly and unobtrusively over decades are hidden and reside in the "invisible present." The invisible present is the scale of time within which our responsibilities for our planet are most evident, the scale of time within which ecosystems change during our lifetimes and the lifetimes of our children and their children. It must be noted here that while it is possible to envision such serious human misjudgment as that which caused the meltdown at the nuclear plant in Chernobyl, Ukraine, the ultimate destruction of the planet Earth with respect to human life will not be as apparent. Instead, it will occur slowly and silently in the secret realm of the invisible present through the gathering pollution of the air, soil, and water. The world of Nature is a constantly changing dynamic set of relationships, and there are lags between the time when decisions are made and the time their consequences become evident. Such lags in time are the rule in ecological systems (including the ecology of all human societies); they appear to separate cause and effect, which confuses our interpretation of Nature's world and makes it seem fickle and unsettled. Unless we adopt an attitude of far greater humility than we profess today, our lack of understanding of both events and processes in the invisible present will continue to be exceedingly costly to human society and its communities. It is thus essential that we become aware of our individual and social tendencies to repress—through informed denial—those changing relationships we deem uncomfortable and frightening. This will require a concerted, sustained effort at all levels of society to keep attention focused on the subtle changes in our environment that threaten our collective future. An intrapersonal relationship is metaphysical and therefore exists within a person. It is the individual's sense of their own spirituality, self-worth, personal growth, internal power, and so on. In short, it is what makes that person conscious of and accountable for their own behavior and its consequences. The more spiritually conscious we are, the more other-centered we are, the more self-controlled our behavior is, and the greater is our willingness to be personally accountable for the outcome of our behavior with respect to the welfare of fellow citizens, present and future, and the Earth as a whole. There is, however, a caveat to the above paragraph that most people overlook: to sustain your world, the community in which you live, and the family and friends you hold dear, you must first respect and honor your "self" as an individual and understand that the source of power in your world is within you. "Most people live, whether physically, intellectually, or morally, in a very restricted circle of their potential being," wrote American psychologist William James. "Great emergencies and crises show us how much greater our vital resources are than we had supposed." Yes, it would be grand to achieve national respect, even world acclaim, for ending injustice or hunger, for freeing the enslaved or finding the magic formula of public policy that would achieve true equality for all. But while focusing on the grand, we tend to neglect the basics—those little details of nurturing our bodies, minds, and souls that often seem trivial and unrewarding when compared with changing the world. Taking care of our families and doing the work necessary to help them thrive may seem neither as important nor as pressing as serving the greater public good. But somewhere along the way to nobility, our flesh is likely to become weak and our family to disintegrate. And it is then we learn, if we are fortunate, that home is not only where the heart is but also were sustainability begins. In working to achieve sustainable communities that are ecologically, socially, and economically healthy, we must simultaneously work to develop individually healthy people, beginning with ourselves. We must learn, for example, that our source of power resides within us as internal motivation inspired to action, not in some external position of authority. People who succeed in changing their lives and growing beyond their present limitations do so because they not only know that success is the interpretation of an event and not the event itself but also because they recognize their own inner power, which gives them a sense of inner authority. Each decision is a fork in our road of life; each fork is an alternative and a choice. The direction of our lives is a result of many little decisions; a few we remember, but most we don't because they are made unconsciously. We tend to remember the "big decisions," but we seldom realize that a single big decision is merely a collection of little decisions made along the way. We give just a little here and again a little there, and eventually we have positioned ourselves in entirely new directions. Thus it is we must take personal responsibility for our words and deeds, because the first step toward the sustainability of a community begins with us through the respect and the quality of care we give ourselves. Then we must extend that respect and care to our families, friends, and neighbors, because the sustainability of a community is but a reflection of the health of its citizenry as measured by how the people treat one another. Not enough can be said for civility, respect, and hospitality toward our partners in building community. If we use these basic human behaviors to frame our work together in striving for healthy, sustainable communities, we can focus more on the mutual values that bind us and less on the tension between our beliefs and attitudes. Here, an old saying is apt: Milk and honey are more easily swallowed than are sour grapes. If, for example, someone is rushing blindly to get somewhere and shoves you out of the way, you have a choice in how you respond to being shoved. You can get angry, impatient, and say something nasty, or you can be patient, kind, and understanding, which brings to mind the comments of an old man knocked down by a rude young man in a hurry. Upon rising from the floor, the old man regarded the younger for a moment and then said: "As you now are, so I once was. As I now am, so you shall one day be." Our thoughts and actions are the seeds we sow each time we make a choice, and they will sooner or later come home to roost. If we do not like the outcome of our choice, we always have the choice of choosing again. In fact, we always have a choice, and we must choose. We are not, therefore, victims of our circumstances but rather consequential products of our choices. And the more we are able to choose love and peace over fear and violence, the more we gain in wisdom and the more we live in harmony. This is true because what we choose to think about determines how we choose to act, and our thoughts and actions set up self-reinforcing feedback loops or self-fulfilling prophecies that become our individual and collective realities. 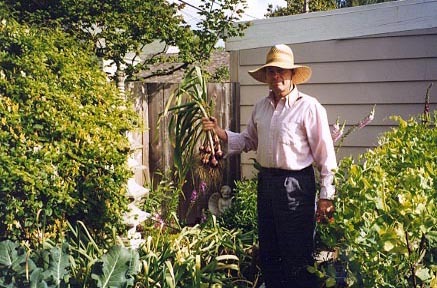 A sense of community often begins in a garden. It is just such self-reinforcing behavioral feedback loops based on competition for resources that are destroying our environment. As long as competition is the overriding principle of our social-economic system, we can only destroy our environment because it has become the battlefield in which the war of competition is fought. Our overemphasis on competition in nearly everything fosters the material insecurity that often manifests as greed. Our obsession with competition, with having to be "right" at the expense of someone else's having to be "wrong," brings forth another human tendency—defending a point of view when faced with a perceived threat to our sense of material survival. There are, however, as many points of view as there are people, and each person is indeed right from their vantage. Therefore, no resolution is possible when each person is committed only to winning agreement with their respective positions. The alternative is to recognize that "right" versus "wrong" is a judgment about human values and is not a winnable argument, albeit each decision has a particular outcome that is more or less acceptable to a particular individual. It is best, therefore, to define the principle involved in the discussion as the fundamental issue and then focus on it. An issue, usually perceived as a crisis, becomes a question to be answered, and in struggling toward the answer, both positive and negative options not only become apparent but also become a choice. We must therefore approach our mission of sustaining our communities within the context of a sustainable landscape design by mutually supporting our common love of and need for a quality style of life. Too many community efforts stagnate and wither because people fail to nurture the social nature of human interaction. Activities that build communities must include celebrations and create opportunities to simply have fun together. A community that works and plays together stays together and has an easier time forming partnerships to achieve a commonly held vision of a sustainable future. And just as sustainability begins with individuals, so too do the health and success of partnerships. Strong partnerships require reciprocity, which is, after all, the essence of sustainability. Leaders must therefore pay particular attention to serving the needs and addressing the concerns of everyone in the group because people are more likely to give when they feel relatively assured of help in the future when they need it. This kind of caring and trust, which amounts to being one another's keepers, lends tremendous creativity toward resolving problems and accepting the inevitable setbacks. Community partnership, like marriage, is a tough business. We must, with humility, make the commitment to take the time and have the patience to share power and resources—something as simple as lettuce for the neighborhood. And we must be committed to keeping our commitments, which is a step most people either forget or do not understand. In addition, when we assign values to Nature's actions through politics based on our perceptions of "good" and "bad," we interject the artificial variable of partiality, which all too often clouds our vision. When this happens, we rob ourselves of our ability to predict the future with any degree of accuracy by rejecting Nature's impartial neutrality. Partnerships can only be created on a person-to-person basis. They must grow from the bottom up; they cannot be imposed from the top down. A partnership is an ongoing, ever-evolving process, not a fixed end point that once achieved is sufficient unto itself. The purpose of partnerships is to help people and communities empower themselves as they struggle toward social-environmental sustainability. For a sustainable partnership to exist, self-centeredness must blend into other-centered teamwork. Setting aside egos and accepting points of view as negotiable differences while striving for the common good over the long term are necessary for teamwork. Unyielding self-centeredness represents a narrowness of thinking that prevents cooperation, coordination, collaboration, possibility thinking, and the resolution of issues. Teamwork demands the utmost personal discipline of a true democracy, which is the common denominator for lasting success in any social endeavor. Sustainability means that development programs must, to the extent possible, integrate the local people's requirements, desires, motivations, and identity in relation to the surrounding landscape. It also means that local people, those responsible for development initiatives and their effect on the immediate environment and the surrounding landscape design, must participate equally and fully in all debates and discussions, from the local level to the national. Here, a basic principle is that programs must be founded on local requirements and cultural values in balance with those of the broader outside world, which includes understanding environmental issues, long-term ecological trends, and their social-environmental ramifications. After all, social-environmental sustainability is a reciprocal relationship between people and the land. As we nurture the land, we nurture ourselves. As we abuse the land, we abuse ourselves. For example, a hillside meadow, which bakes annually under the summer sun and turns brown, is seen as having no value to a community because it does not produce a visible product the community wants. The meadow is therefore subdivided for a housing development. Within a year of completing the housing development, many of the community's wells begin drying up because the meadow had in fact been the water catchment that not only collected the water from rain and melting snow but also filtered, purified, and stored it deep in the soil prior to filling the wells with this most precious of liquids. Second, short-term trends must be viewed in relation to long-term trends and long-term trends in relation to even longer-term trends. The more we trace the present into the past, the better we understand the present. The more we project the present into the future, the more humble we need to be in our notion that we understand the present. Knowledge of the past tells us what the present is built on and what the future may be projected on. But this is true only if we accept past and present as a cumulative collection of our understanding of a few finite points along an infinite continuum—the trend of the future. Thinking and knowledge in Western society have become so linear we have forgotten that everything is defined by its relationship to everything else. Nothing exists by itself in absolute freedom; everything exists in relation to something else. In the example above, water for the community's wells existed in relationship to the hillside meadow and the precipitation that fell upon it. But the relationships were not understood until the housing development irreparably altered them. Failing to account for a community's long-term supply of water in the face of short-term dollars to be made by a few people is dangerous, because changes in the spatial patterns of land use, which grossly alter habitats through time, may well be crucial to understanding the dynamics of landscape design and will have implications for many ecological processes. Changes in the patterns of landscapes also relate to the flows of materials and energy across landscapes, such as the processes of erosion and the movement of water and sediments. Characterization of the relationships among changing patterns on the landscape and how those changes affect ecological processes is particularly important if we are to develop a more complete understanding of landscape dynamics, our effects on them, and their reciprocal effects on our communities as the inevitable, self-reinforcing feedback loops. The setting of a community in the evolutionary sense helps define the community because people select a community for what it has to offer them within the context of its landscape. 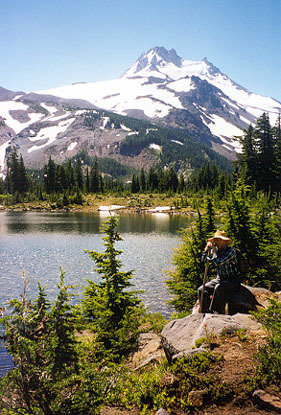 A logging community is therefore set within a context of forest, a ranching community within a context of lands for grazing, and a community of commercial fishers along a coastline, be it a lake or an ocean. The setting helps create many characteristics that are unique to the community. By the same token, the values and development practices of a community alter the characteristics of its surrounding environment. In addition to the surrounding environment, the constructed environment within a community is also part of its setting and therefore its identity. Aesthetics, both internal and external to a community, are crucial to how the community defines itself through the philosophy it reflects in its livability. Much of what a community is saying about itself and how it cares or does not care about future generations is reflected in the physical structures with which it chooses to surround itself. This includes buildings, zoning, design of transportation systems, and the allowance of natural occurrences within the structured setting. In turn, a community's worldview defines its collective values, which determine how it treats its surrounding landscape. As the landscape is altered through wise use or through abuse, so are the community's ecological and social options altered in like measure. A community and its landscape are thus engaged in a mutual, self-reinforcing feedback loop of reciprocity as the means by which their processes reinforce themselves and one another. Each community has physical, cultural, and political qualities that make it unique and more or less flexible. The degree of flexibility of these attributes in a community is important because sustainable systems must be ever flexible, adaptable, and creative. The process of sustainable development must therefore remain flexible, because what works in one community may not work in another or may work for different reasons. Beyond this, the power of sustainable development comes from the local people as they move forward through a process of growing self-realization, self-definition, and self-determination. Such personal growth opens the community to its own evolution within the context of the people's sense of place, as opposed to coercive pressures applied from the outside. Our leaders and we must now address a moral question: Do those living today owe anything to the future? If our answer is "No," then we surely are on course, because we are consuming resources and polluting the Earth as if there were no tomorrow. If, on the other hand, the answer is, "Yes, we have an obligation to the future," then we must determine what and how much we owe, because our present, nonsustainable course is rapidly destroying the environmental options for generations to come. Meeting this obligation will require a renewed sense of morality—to be other-centered in doing unto those to come as we wish those before us had done unto us. To change anything, we must reach beyond where we are, beyond where we feel safe. We must dare to move ahead, even if we do not fully understand where we are going, because we will never have perfect knowledge. We must ask innovative, other-centered, future-oriented questions in order to make necessary changes for the better. True progress toward an ecologically sound environment and an equitable world society will be expensive in both money and effort. The longer we wait, however, the more disastrous becomes the environmental condition and the more expensive and difficult become the necessary social changes. Although ecosystems can tolerate cultural alterations, those functions that have been disrupted or removed in the process (often through a loss of endangered species) must be replaced through human labor if the system is to be sustainable. The more a system is altered and simplified, the more fragile it becomes and the more labor intensive its maintenance becomes. When alterations exceed the point at which human labor can maintain the necessary functions, the system collapses. Collapse in this sense means that it becomes something other than that for which it was originally groomed, and in the process, it becomes nonproductive of value for which it was altered. The degree of human alteration determines which way a system will go, either back toward its original condition or toward something totally different. In this connection, I work with a community to safeguard its quality of life through the viability of its open spaces and their relationships to a healthy environment in which the community rests and on which it depends for sustainability. What communities must learn to understand and accept, if they are serious about long-term social-environmental sustainability, including economic sustainability, is that ecosystems are designed by the variability of natural phenomena, such as volcanos, climate, fires, floods, and the cyclical nature of populations of organisms; they are not designed by the predictable averages of anything. Ecosystems are designed by novelty and uncertainty, not by static surety. The questions for a community thus become one of how to deal with ecological uncertainty. In addition, while incremental changes in an ecosystem may seem insignificant to us humans and their effects for a time to be invisible, ecosystems operate on thresholds with unknown margins of safety. But once a threshold is crossed, it is crossed. There is no going back to the original condition. It is thus necessary to understand something about the relative fragility of simplified ecosystems as opposed to the robustness of complex ones. Fragile ecosystems can go awry in more ways and can break down more suddenly, with less warning, than is likely in robust ecosystems, because fragile systems have a larger number of components with narrow tolerances than do robust ones. As such, the failure of any component can disrupt the system. Therefore, when an ecosystem is altered for human benefit, it is made more fragile, which means that it will require more planning and maintenance to approach the stability of the original system. Ergo, while sustainability means maintaining the critical functions performed by the primeval system, or some facsimile thereof, it does not mean restoring or maintaining the primeval condition itself. If one looks at ecosystems along a continuum of naturalness (the most pristine condition being the most natural end of the continuum and the most humanly altered being the most cultural end of the continuum), the notion of system fragility not only makes sense but also offers humanity a range of choices. 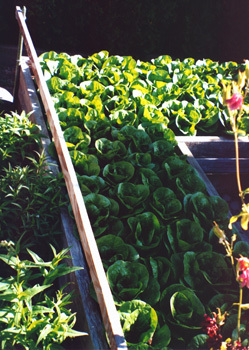 The question for any community interested in sustainability is, of necessity, what degree of culturalness versus naturalness can any given acre be converted into and still maintain the ecosystem's ability to adapt over time in a way that is beneficial to the long-term social-environmental sustainability of the community. And it is, after all, the array of choices one generation passes to the next that conveys the sustainability of potential outcomes. For example, the less we humans alter a system to meet our necessities, the more the system's functional requirements are met internally to itself. This in turn makes it easier and less expensive in both time and energy (including money) to maintain that system in a relatively steady state because we have maintained more of the diversity of native flora and fauna than we might otherwise have done. Conversely, the more altered a system is, the more that system's functional requirements must be met through human-mediated sources external to itself. This in turn makes it more labor intensive and more expensive to keep that system in a given condition because we have maintained less, often far less, of the diversity of native flora and fauna than we would otherwise have done. But why, I am often asked, do we need such a variety of species? What effect does a variety of species have on an ecosystem anyway? One marvelous effect such a variety has is increasing the stability of ecosystems through feedback loops, which are the means by which processes reinforce themselves. Strong, self-reinforcing feedback loops characterize many interactions in Nature and have long been thought to account for the stability of complex systems. Ecosystems with strong interactions among components, which are contributed by feedback loops, can be complex, productive, stable, and resilient under the conditions to which they are adapted. But when these critical feedback loops are disrupted, such as in the extinction of species and the loss of their biological functions, these same systems become fragile and easily affected by slight changes. "Backups" mean that more than one species can perform similar functions. It is a type of ecological insurance policy, which strengthens the ability of the system to retain the integrity of its basic relationships. The insurance of backups means that the loss of a species or two is not likely to result in such severe functional disruptions of the ecosystem so as to cause its collapse because other species can make up for the functional loss. But there comes a point, a threshold, when the loss of one or two more species may in fact tip the balance and cause the system to begin an irreversible change. That change may signal a decline in quality or productivity. Although an ecosystem may be stable and able to respond positively to the disturbances in its own environment to which it is adapted, this same system may be exceedingly vulnerable to the introduction of foreign disturbances (often those introduced by humans) to which it is not adapted. We can avoid disrupting an ecosystem supported by self-reinforcing feedback loops only if we understand and protect the critical interactions that bind the various parts of the ecosystem into a functional whole. Diversity of plants and animals therefore plays a seminal role in buffering an ecosystem against disturbances from which it cannot recover. As we lose species, we lose not only their diversity of structure and function but also their genetic diversity, which sooner or later results in complex ecosystems becoming so simplified they will be unable to sustain us as a society. Therefore, any societal strategy aimed at protecting diversity and its evolution is a critically important step toward ensuring an ecosystem's ability to adapt to change. Diversity counts. We need to protect it an any cost if we are serious about passing social-environmental sustainability to our children and our childrens' children. WHAT DO WE MEAN WHEN WE SPEAK OF "DEVELOPMENT?" Of the several facets reflected in the term "development," we in United States have chosen to focus on a very narrow one: development as material growth through centralized industrialization, which we glibly equate with social "progress" and economic health. The narrowness of this view is, I believe, behind our corporate-bureaucratic notion of "developed" versus "developing" nations. I have over the years worked in a number of countries without giving much thought to the notion of "developed" versus "developing" or, as some would put it, "underdeveloped," although I have spent time in both. During a trip to Malaysia some years ago, however, I was profoundly struck by the arrogance and the narrowness of such thinking. Malaysia is the only place in which I have ever heard the people refer to their own country as "developing," as though they are culturally behind the "developed" countries and must somehow "catch up" to be equal. Yet the Malaysians had a national unity the likes of which I have never before seen, not even in the United States, where all my life I have been taught about and heard about an equality that is not practiced. Malaysia is as great a mixture of cultures, national origins, and religions living in a small space as I have ever seen. When, however, I asked people what their ethnic background was, their answers—to a person—reflected national unity. They referred to themselves as Malaysian Chinese, Malaysian Indians, Malaysian Sri Lankans, and so on. On the other hand, were I to ask such a question in the United States, the response would be Afro-American, Chinese-American, Japanese-American, German-American, Italian-American, and so on. While the difference may be subtle, it is profound. The Malaysians focus on their unity, while we in the United States focus on our sense of separation. On any given day in Malaysia, I could choose to eat my breakfast the Malay way, using both hands, with a spoon in one and a fork in the other. At lunch, I could eat with chopsticks, and at supper as much of the world eats, with my right hand as the only utensil. There were even four hour-long evening news programs, one each in Malay, Indian, Chinese, and English. Of course there were social problems, but I have never before experienced such integration of differences into an amalgamated sense of wholeness. As a guest and stranger in Malaysia, I felt that sense of wholeness encompass me. I felt welcomed and accepted for what I was as a person—not who I was by ethnic background or nationality. In a strange, undefinable way, I felt more at ease and at one with the people of Malaysia as a whole than anywhere I have ever been. If this is not development, I do not know what is! But then it depends on how one defines development. If development is defined as a certain material standard of living based on the consumerism of centralized industrialization, Malaysia is indeed behind the United States. But if development is defined as social civility and tolerance, the United States, compared to Malaysia (a nation even younger than the United States), could be thought of as a developing country. And what about aboriginal peoples who not only have civility and tolerance but also have a long-term sustainable relationship with their environment. Are they not developed? It's ironic that the very people who consider themselves to be developed and therefore "civilized" are the ones who so ruthlessly destroy the social-environmental sustainability of the cultures of those they unilaterally brand as "undeveloped" and therefore necessarily "lesser." Fortunately, despite the continuing onslaught of "civilized" peoples and their corporate-political machines, there are a few remaining aboriginal ones, some of whom live in the deserts of Australia and the jungles of South America, as well as other parts of the world. I say fortunately, albeit they are severely endangered, because there is much about development and sustainability that we in the industrialized world can relearn from them. After all, our ancestors were also indigenous, tribal people at one time. Our problem of late is that we have forgotten most, if not all, of the wisdom they once knew. And it is precisely this loss of ancient wisdom that is forcing us to focus on a contemporary question. How must we as Americans view development if the concept is ever to be truly sustainable? Clearly, all peoples must be accepted as "culturally equal" if people are to be treated with the kind of respect and dignity that will foster development as a sustainable enterprise. Ecological Diversity in Sustainable Development Ecological Diversity. Land-Use Planning for Sustainable Development Land Use. Evaluating Sustainable Development Evaluating Development. Earth In Our Care Earth.